We’ve been busy this summer implementing changes to make it easier for Offer Partners to create, publish and manage offers! Reordered and renamed steps in creating an offer. Based on what we were told was confusing! Added spell check! All text fields have spell check to help catch mistakes. Removed offer tags. These were confusing, so they’ve been removed. Automated venue selection. When creating an offer if there is only one venue, it’ll be automatically selected. Updated search for Loop Members. Members can search in the app for business name, venue name, and offer title. Expired offers are “Read Only”. It’s important to look back and see the success with previous offers so we are keeping a history. 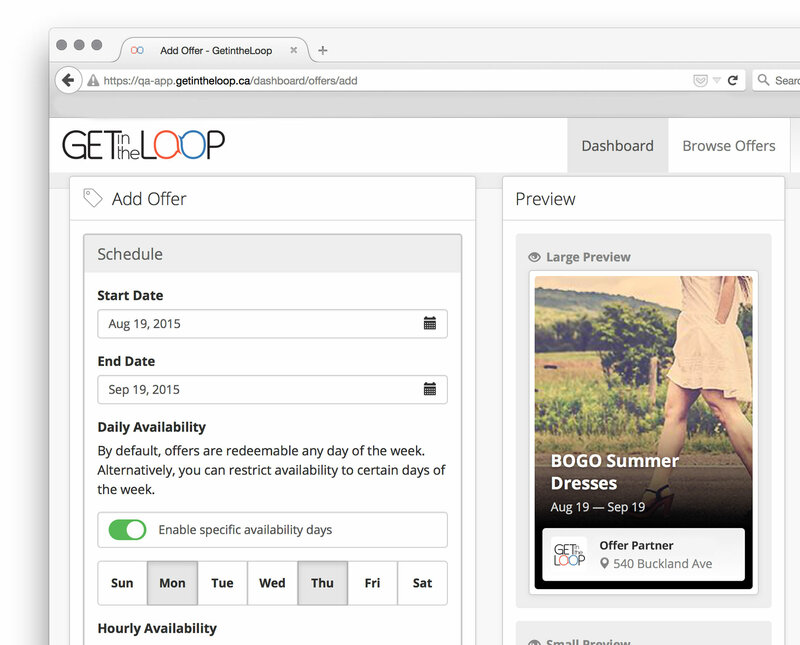 + A Focus on Quality… You’ll notice a 10 min delay on your offers being published in the GetintheLoop app. This is a new aspect of our quality assurance process to ensure that all offers are as attractive as possible and increase the likelihood of redemptions. We’ll look over each offer to make sure images and text look their best! Uploading your own images. We’re working on it as we speak! Enhanced push notifications. Target your audience for best response. Duplicate offers for republishing. Making it easy to re-use what works well. We always are striving to make it simpler for Offer Partners to get new offers to Loop Members and promote their business, that’s why feedback is so important to us!